Elegance and luxury abound in the 2019 Nissan Altima. This stylish four-door sedan has plenty of room for five and focuses on comfort and convenience. Choose from four trim levels: S, SV, Platinum and Edition One. 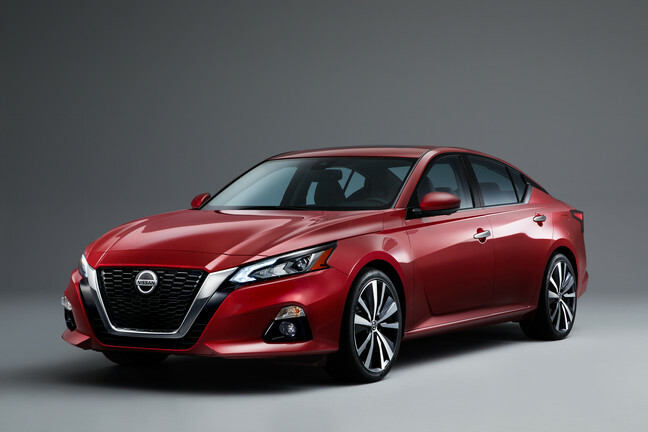 Designed more like a coupe with the sloping hood and muscular stance, the 2019 Nissan Altima is sure to change your idea about how a sedan should look. The V-motion grille draws your attention to the wide profile and angled front fascia while the floating roof captures your eye. Available LED headlights and signature lighting brighten your way as boomerang taillights add a unique touch to the rear view. Refinement continues inside the 2019 Nissan Altima with chrome trim throughout the cabin. Available wood accents enhance the sophistication of this sedan. At the same time, the sporty image is evidenced by features like the D-shaped steering wheel. Zero Gravity seats keep you in place as you take turns and curves while the eight-way driver seat offers prime positioning. Optional heated front seats and a heated steering wheel provide exceptional comfort for those cold winter drives. Easily read your settings or important information with the floating touchscreen on the 2019 Nissan Altima. Utilize Nissan Door to Door navigation to find your way to any location. Enjoy a wide range of entertainment options with Bluetooth streaming audio and hear it all through the available Bose premium audio system. 2019 Nissan Altima Parts and Accessories. Choose the right accessories to make your 2019 Nissan Altima stand out. Whether you want something to dress it up or to protect your investment, you’ll find genuine Nissan accessories are the right way to go. Add a rear spoiler, upgrade the wheels or include all-weather floor mats and cargo trays to make the sedan work for you. Take to the road with confidence in the 2019 Nissan Altima with all-wheel drive to keep you moving forward regardless of the conditions. Thanks to a 2.5L engine, you have ample power while the Xtronic CVT offers precise handling and control. Trust the independent strut front suspension to give you a smooth ride while active understeer control provides stability without hampering agility. Standing out from the crowd is the 2019 Nissan Altima. Loaded with safety features and systems, you can trust the 2019 Nissan Altima to get you to your destination. 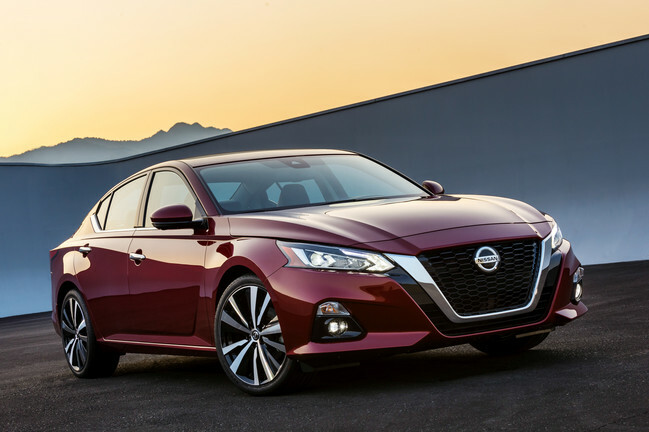 Nissan provides an impressive warranty for the 2019 Nissan Altima. Some conditions apply. See Cochrane Nissan for full details in Cochrane, Alberta, Canada. You deserve a car that is as stylish and sophisticated as you are, and the 2019 Nissan Altima fits that requirement. Luxury inside and elegance outside make this sedan a top choice for buyers. 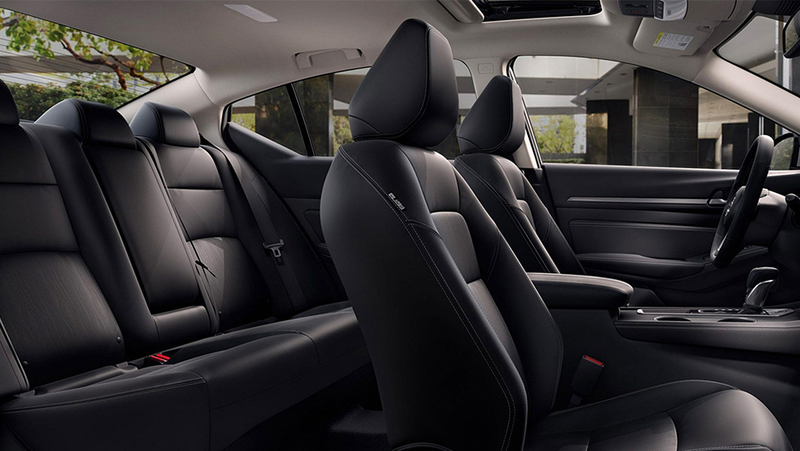 Premium comfort and performance round out all the things to love about the model. Discover how the 2019 Nissan Altima can fit in your life when you visit your local Cochrane Nissan Dealer – Cochrane Nissan. Come out and take it for a test drive or check out our other fabulous models right here at Cochrane Nissan today.